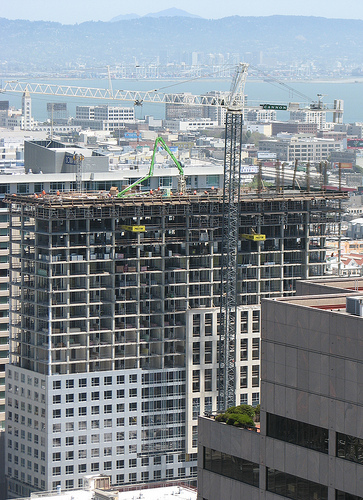 Join us for a walking tour of Trinity Place, a 24-story rental apartment building at 1188 Mission Street in San Francisco. Developed by Trinity Properties and designed by the Miami-based firm Arquitectonica, the first phase of the planned four-building, 1900-unit project — which includes 352 studios and 88 one-bedroom units — opened to tenants last summer. Future buildings will frame a generous courtyard lined by ground-floor retail. At full build-out, the project will have a density of nearly 400 units per acre. With Walter Schmidt of Trinity Properties. Register here. $10/ Limit 25 people per tour.